New student applications for the 2017-2018 school year will be accepted. Applications will be processed and reviewed upon completion. Thereafter, applications may be submitted and will be considered based on availability. Enrollment for all new students who complete the admissions process and are accepted begins on May 1st, 2017. Parents are encouraged to attend an Open House and/or schedule a private tour of the Grant Park Christian Academy campus to become familiar with the school and its programs. An application for admission to Grant Park Christian Academy can be obtained from the school website or the school office. Click Here to complete the form. The applicant’s current teacher must complete a recommendation form and mail it directly to Grant Park Christian Academy. 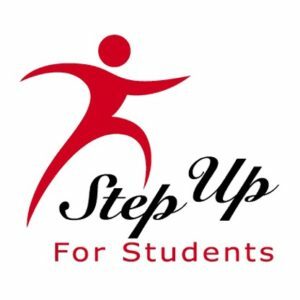 Parents must sign a Transcript Request to submit to the administration of the applicant’s current school requesting an official transcript and standardized test records for the past two years. An entrance assessment must be taken at Grant Park Christian Academy and be proctored by a Grant Park Christian Academy staff member. There is no assessment fee due on or before the scheduled assessment date. 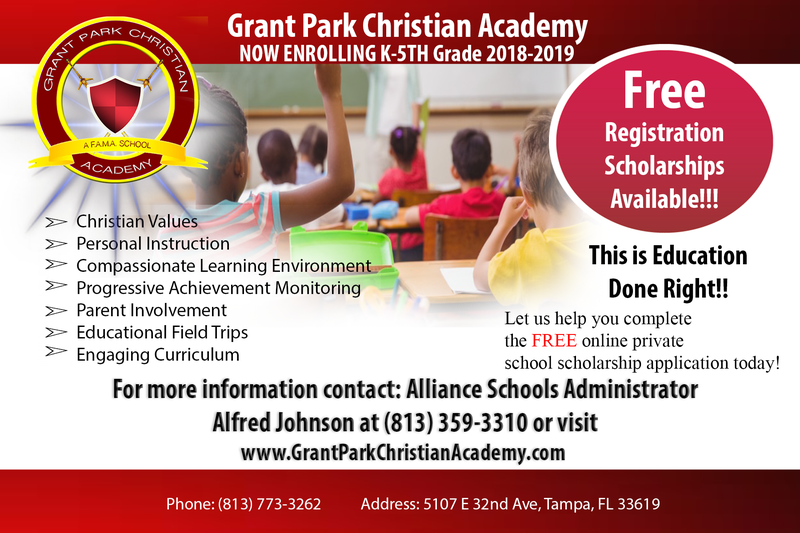 All new students applying to Grant Park Christian Academy for grades K through fifth will be given a grade-appropriate Grant Park Christian Academy assessment to confirm their readiness and to determine potential strengths and weaknesses. After review of the complete application, recommendations, transcripts, and assessments, the School Administrator will contact the applicant’s parent/guardian to schedule a family interview. The applicant must be present for the family interview. Members of the Admissions Committee carefully review each applicant’s file. Screening and selection are based on behavioral and academic performance at prior schools, the ability of Grant Park Christian Academy to meet the student’s needs, assessment results, lifestyle choices, and a willingness of the student’s parents to play an active role in the education process and in cooperating with the administration and faculty to promote the growth of the whole student. 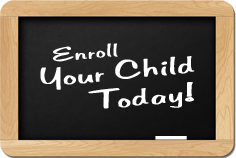 At Grant Park Christian Academy's sole discretion, the school reserves the right to deny enrollment to any applicant at any stage of the admissions process, provided that all decisions are consistent with Grant Park Christian Academy’s non-discrimination policy as described in the GPCA Handbook. All questions regarding the review process, or the outcome of admissions, must be addressed in writing to the Admissions Committee at Grant Park Christian Academy. Grant Park Christian Academy admits students of any race, color, national and ethnic origin to all the rights, privileges, programs, and activities generally accorded or made available to students at the school. It does not discriminate on the basis of race, color, national and ethnic origin in administration of its educational policies, admissions policies, athletic and other school-administered programs.